One of the biggest innovations in the 2016 wave of Microsoft datacenter products is the introduction of the Microsoft Azure Stack. 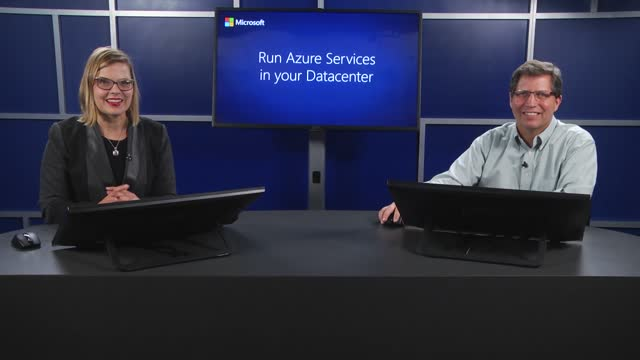 It delivers Azure to your datacenter to enable Developers and IT Pros to work together to build, deploy, and operate traditional and cloud-native applications. In this session, join us to examine how these services can be used in your organization and take a look under the hood at the components and architecture that make this revolutionary solution possible. With the Microsoft Azure Stack, you can take advantage of the innovation and investments made in the Azure public cloud and can do so in a way that allows for the control and customization you expect with a private cloud. Get ready for the best of both worlds!